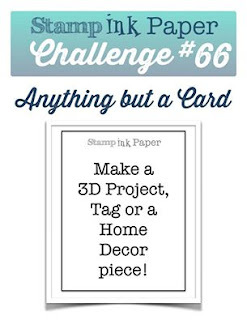 Welcome to this week's Stamp Ink Paper challenge. Today we have a Tic Tac Toe board for you to play along with. I've used the bottom horizontal row for card "Butterfly, Emossing Folder, Wood"
The cardstock is Pear Pizzazz, Very Vanilla and Balmy Blue. I've used the Country Floral embossing folder and the Butterfly has been cut out from the Sale-a-bration dsp. The wooden butterfly elements came from our recent Sale-a-bration promotion at Stampin' Up and the wooden Celebrate came from my stash from a previous SU catty. Thanks so much for stopping by today. 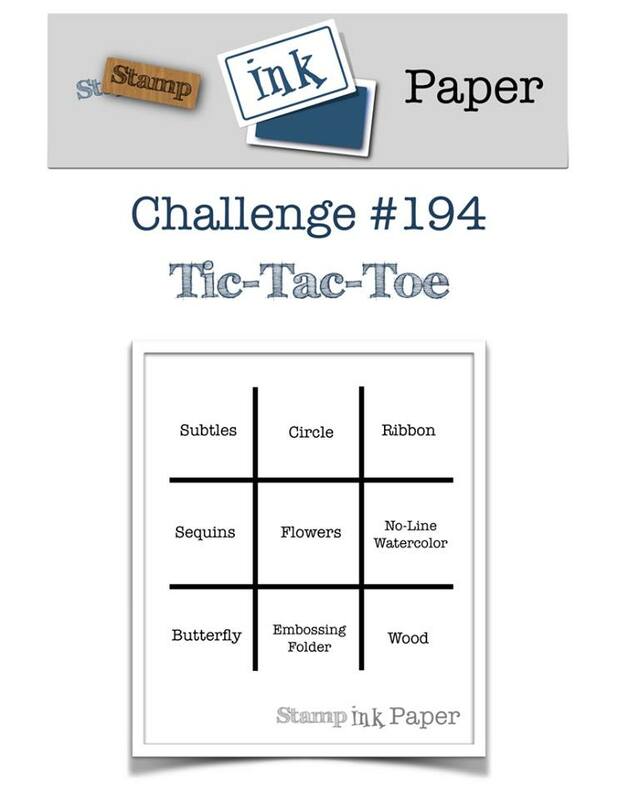 We hope you will join along in this week's challenge with out Tic Tac Toe board at Stamp Ink Paper.